Over the course of my career, I reveled at the ingenuity of those charged with finding external talent with very unique skills. Usually it involved dissecting data from the Bureau of Labor Statistics to identify the best markets, reviewing population demographics, looking at competitors in the market, searching social sites, developing relationships with different associations and institutions, and more. 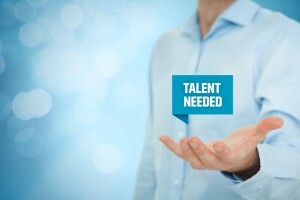 However, in my opinion, in order to have a fully optimized, high-performing organization, it is important to first provide career and development opportunities to employees, and then, if needed, look externally for talent to fill those positions. We’ll discuss the challenges and keys to success for filling key positions internally during our Jan. 17 webinar with SumTotal, Flipping the External and Internal Fill Rate, at 1pm Eastern. Come join Bill Docherty, Vice President/Product Management at SumTotal, and myself as we discuss this topic. Strengthening EVP: According to Brandon Hall Group’s Employee Value Proposition Survey, the top three practices that have the greatest impact on an organization’s EVP are: improving manager coaching capabilities (57%), focusing on developing and retaining high-potential talent (57%), and enhancing learning and development opportunities (49%). By providing career and development opportunities, your organization is saying to employees that we value your contribution, you can make an impact, and we are investing in your future at this organization. That is an extremely powerful motivator that fuels engagement, retention, and business performance. Achieving Greater Alignment: Your best employees are already aligned and engaged with your organization’s goals, values, and culture and are more likely than new hires to continue to pursue their career at your organization. To achieve this same type of alignment with new hires, and reduce the risk of new hire attrition, there needs to be an extensive assessment, assimilation, and onboarding process. Daria Friedman is the Principal Analyst overseeing the talent acquisition practice for Brandon Hall Group. Prior to Brandon Hall, Daria led the research practice for Bernard Hodes Group, a recruitment solutions agency, and Findly, a talent acquisition software service provider. Daria’s focus is on conducting talent acquisition research on topics such as candidate experience, employer value proposition validation, onboarding, candidate experience, retention, internal communications, career site messaging, talent pool assessments/supply and demand, employee engagement, campus/graduate recruitment, brand perceptions/positioning, best practices, diversity, market/competitive dynamics, talent acquisition metrics, source-of-hire/job search dynamics, employer preferences, employee benefits, technology purchase preferences, and more. 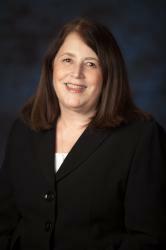 She has produced many thought-leading and award-winning research studies at Hodes, including: Healthcare Talent Metrics, The Growing Value of Employer Brands, RNs at Risk, The Collegiate Career Mindset, The Employment Conversation - How Employers and Talent Meet on the Social Web, and Playing for Keeps/Recruiting for Retention. Daria developed Industry Matters, a monthly newsletter that provides insight on the talent landscape from both an economic and talent acquisition trend perspective. She has conducted research globally across many industries, such as Healthcare, Technology, Insurance, Finance, Hospitality, Telecommunications, Defense, Law Enforcement, and Retail. Daria is skilled in quantitative, qualitative and secondary research methodologies. Daria has an MBA in Marketing from Fairleigh Dickinson University and a BA in French from Montclair State University.